IT Raids On Guntur MP Galla Jayadev | Galla Jayadev News IT Raids On Guntur MP Galla Jayadev: Guntur MP Galla Jayadev has been surprisingly attacked by IT raids. 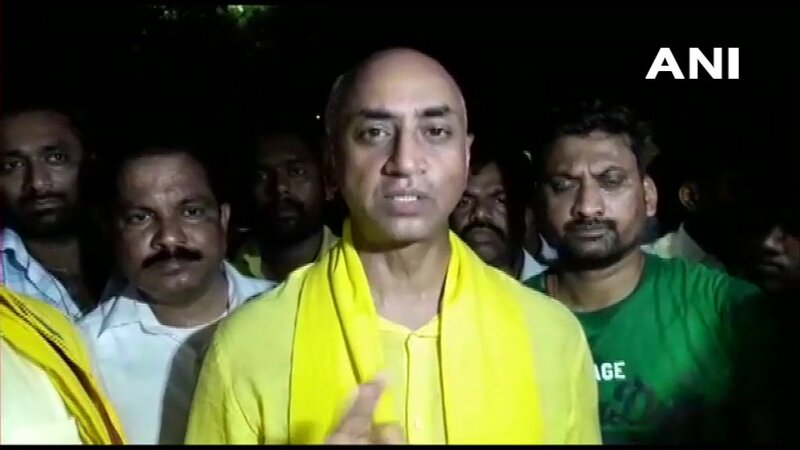 IT Raids On Guntur MP Galla Jayadev:- Andhra Pradesh Chief Minister Chandra Babu Naidu has been alleging that Centre is forcefully staging attacks on TDP leaders and politicians through Income Tax raids. A surprise raid has been conducted on the properties of Guntur TDP MP Galla Jayadev yesterday. Jayadev is the Managing Director of the Amara Raja Group and is one of the richest politicians in the state. TDP party workers staged protests before the District Collector's Office. Lanka Dinakar said, “I-T department shouldn't conduct such raids without proper intimation to Election Commission. We don't know whether these raids are happening with EC's approval or just on instructions of Modi-led union government as per orders given by YS Jagan". TDP alleges that YS Jagan along with Narendra Modi and KCR have been staging attacks on TDP. The elections will take place in AP and Telangana tomorrow.